Winter Climbing on Ben Nevis with Dave Macleod and Andy Tuner as they re-climb the routes climbed by Jimmy Marshall and Robin Smith exactly 50 years earlier. 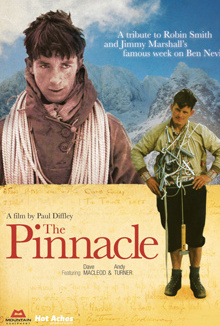 All Hot Aches films featuring Scottish winter climbing in one box set. Screen our film to a public audience. The fee covers one screening only. Contact paul@hotaches.com if you want a higher quality movie file.